Europe's largest ski resort set amidst spectacular scenery. 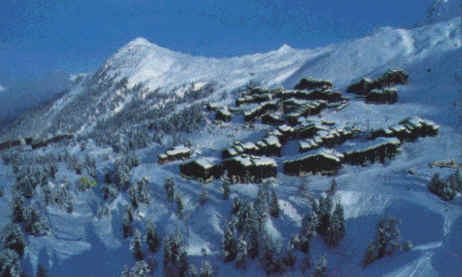 La Plagne is set in the Savoie French Alps, dominated by Mount Blanc, providing a high altitude ski area. One of the first purpose-built ski resorts in the world, "designed by skiers- for skiers". 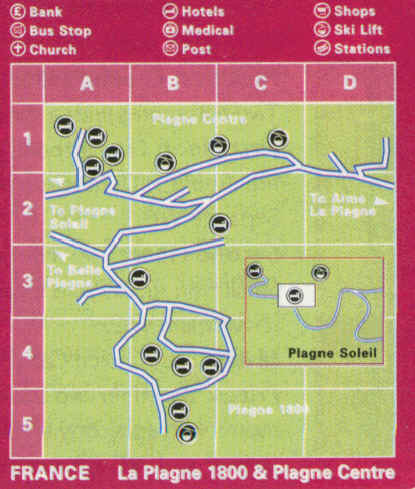 La Plagne comprises of ten ski centres, each virtually self contained. Each village is well connected and gondolas or buses run between them. Belle Plagne is car-free. The new Paradiski ski area, made possible by the new cable car The Vanoise Express, means that, as of Christmas 2003, skiers from Les Arcs or La Plagne will have the opportunity to experience going fomone ski resort to another in just 4 minutes. There are excellent facilities for all levels of skier with the accent on convenience and minimal queuing. The resort has plenty of crèche and kindergarten facilities making it ideal for families. Aprés skiing is less extensive but there are good bars and restaurants to be found. try the Spitting Feathers Apres Ski Bar, a recently converted ski hire shop, Bar Etoille and COiuleur Café in Plagne 1800. For french flavour try Matafan Bar in Belle Plagne. live music can be found at Tete Inn in Belle Plagne and the Showtime Café in Bellecôte. also try the Monicas bar in Plagne Soleil, No b’lm Café in Plagne Centre and Lauze Bar in Les Coches. * 3 course set menu approx €25 * fondues or raclette €20 * try La Grange for Savoyard specialties and value for money. Matafan and Le Bec Fin are also worth a visit. traditional mountain restaurants including Le Petit Chaperon and Le Loup Garou.